Info: The 2nd album was released on 12/10/02 and reached position #1 in the ADD "weekly bestsellers" in week No.1+2/2003. 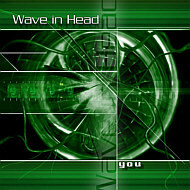 The song "Emotional Machines" from this album made it at position #1 in the entire charts at MP3.de in November, "With You" was Number 1 at the Electrogarden Charts on 12/15/02. Pressreviews:Heavy Metal.de(D); Re.Flexion(D); Medienkonverter (D),Bloom(D);E-Lectric(D);E-Tron(D);Premonition(F);NSI-Online(Pt);Darkbeat(D) Comments:Re.Flexion ("...a mgnificent album! marking: 100 %"); Medienkonverter("...in terms of sound there is quite a lot going on here !... "); Bloom"...Track 8  Free to leave - is the highlight in my eyes... boundless harmony. Melancholics will die."